In CFA Level II, we learn about the property investment. Basically the concept of property investment is the cash flow as well as ROI. In this post, I would like to illustrate in more detail on the cash flow movement in the property investment. 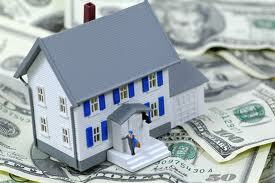 Mortgage Loan: The money that you can leverage to purchase more properties given limited cash flow. Interest Paid: The interest that you have to pay to the mortgage bank. To generate a net cash flow, you have to ensure that all the elements above is fully optimized until you have a positive net cash inflow to your pocket. As time grows, you will have more cash in your pocket and you will be able to live in the life style you want.